Bumblebees and Butterflies: Steampunk clock shabby style. 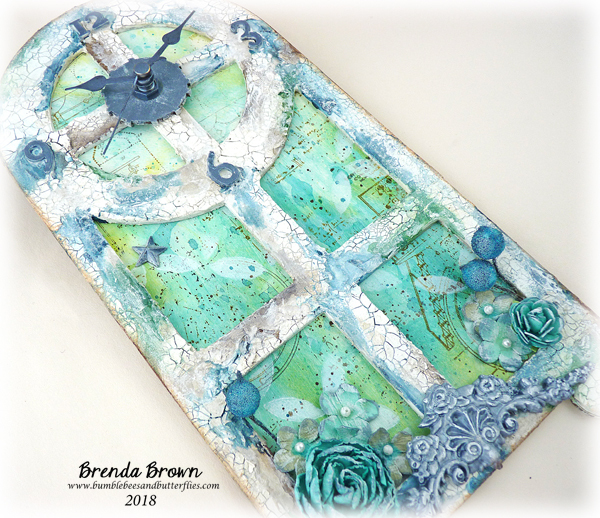 Today I am sharing the steampunk clock I had published in the Craft Stamper earlier this year over on the Tando Creative Blog. 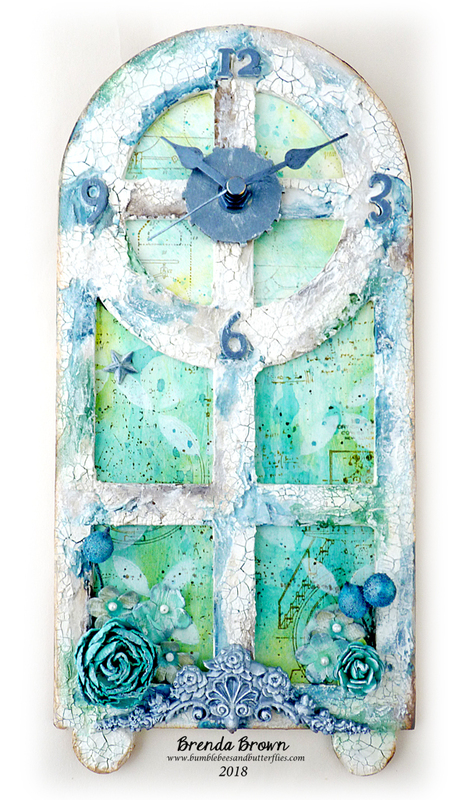 .... and the background has layers of DecoArt media acrylics used as washes and some Andy Skinner stamps. More photos and the process steps are available over on the Tando blog where I have added them as part of my Texture Week sample. The colors and artsy patterns are wonderful and so eye catching! LOVE that it's a real working clock too. 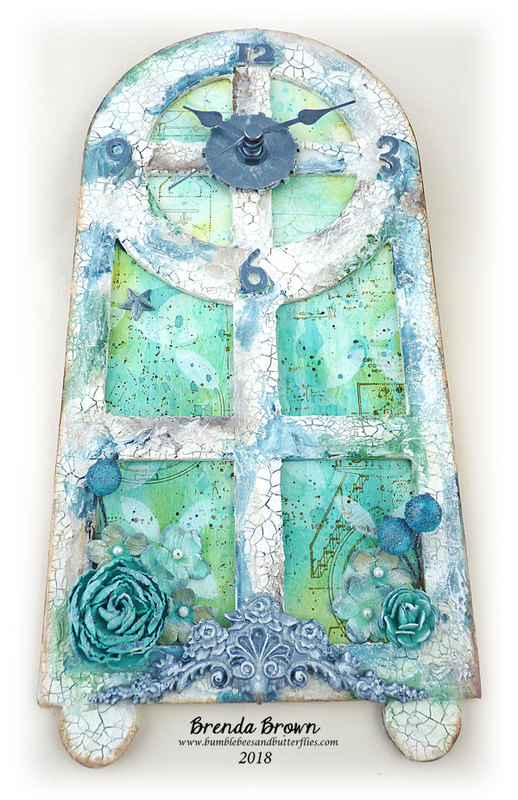 Love the shabby chic color scheme and all the crackle effect on this piece.